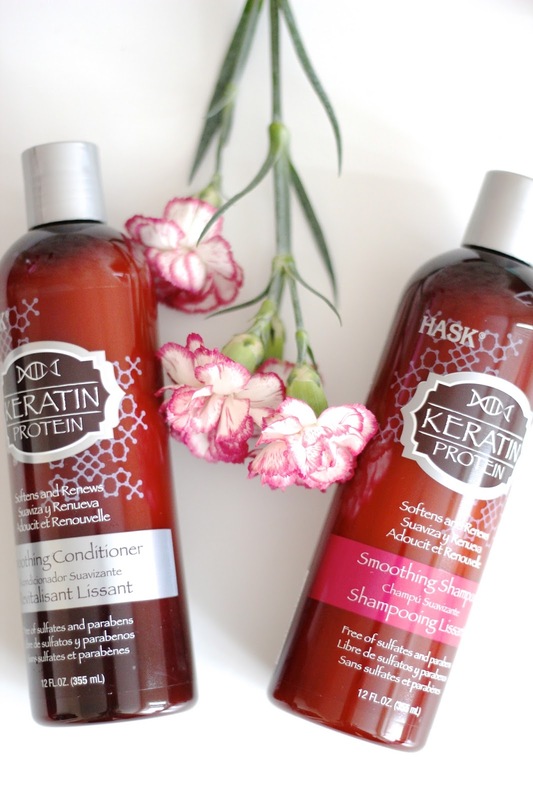 The good people at Hask sent over their Keratin Protein Shampoo and Conditioner. I have been trying to move towards products that are natural and contain as little chemicals as possible. Good news, this company does just that, it is sulfate and paraben free! This shampoo and conditioner is designed to help restore your lifeless hair. It uses Keratin protein, the stuff that makes up our hair, skin and nails, to calm and revive over-heated and dried out hair. It comes in a 355ml bottle for $5.99 USD. I should mention that I don't put heat to my hair at all and that I am very low maintenance when it comes to my hair. I even ask my hair stylist to cut my hair in such a way that the cut I get grows out nicely, since I only go to the hair stylist twice a year (and that too is pushing it). In fact, I have always felt lucky that I have been able to be one of those people that could wash their hair, put some product in it (if i'm going out), and let it air dry. 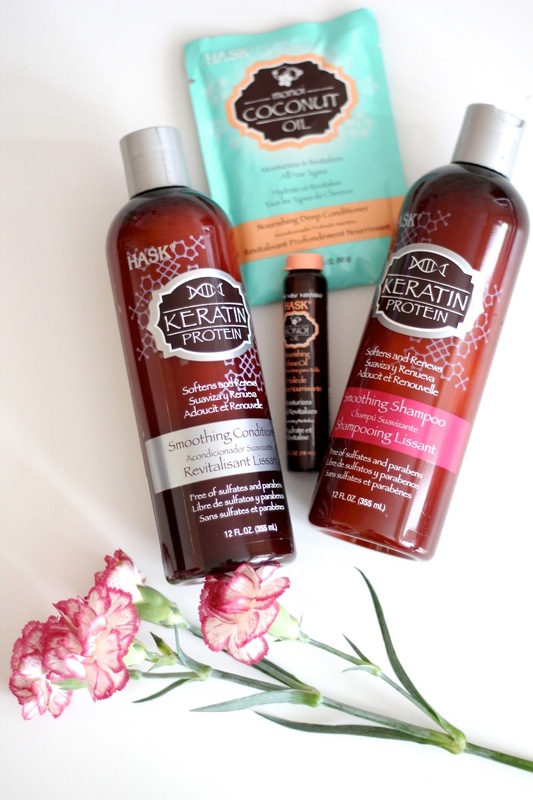 But I chose this Keratin protein shampoo and conditioner because its winter and you can never have enough protein! Yes! I love to use another shampoo alongside my regular shampoo to switch things up and I think I found the balancing act with this hask product. Products provided by Hask, however, the opinions on this post are our own. We only review products that fit with our blog and audience and provide honest opinions. I like to switch up my shampoos. I want to try this brand! Love this shampoo! Sounds like great product! The packaging does look quite professional and love the idea that it can make the hair shine! Love this review! I'll have to try it!